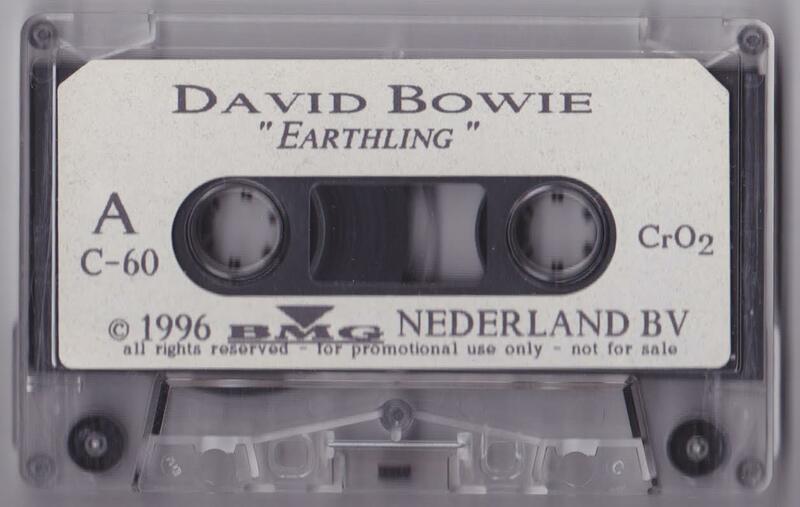 Earthling; Promotional Cassette: Netherlands; BMG; 1997. Plain cover printed by Flevo Productions, Hilversum on behalf of Ariola Records. 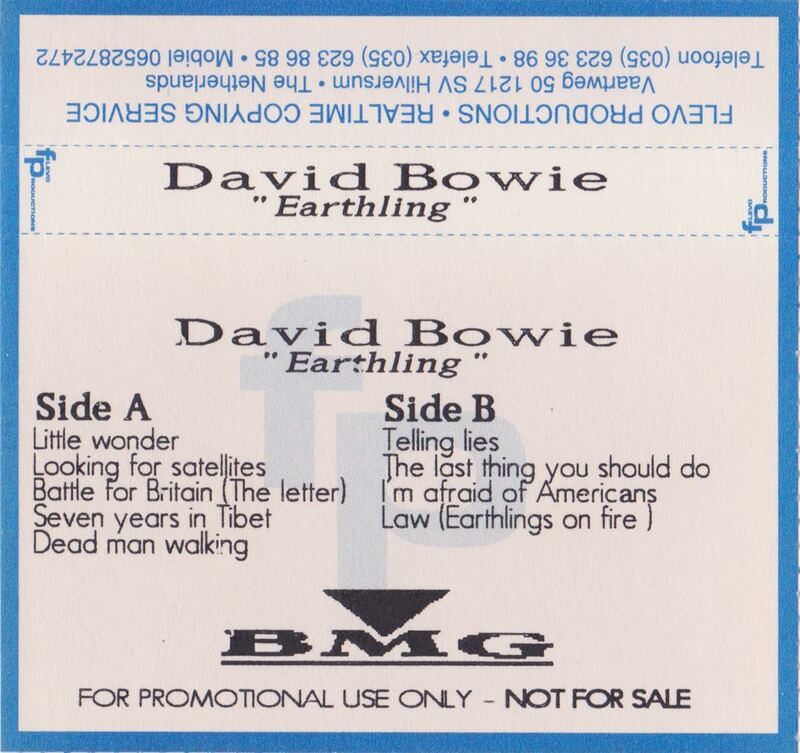 Printed card cover with track list on front panel. 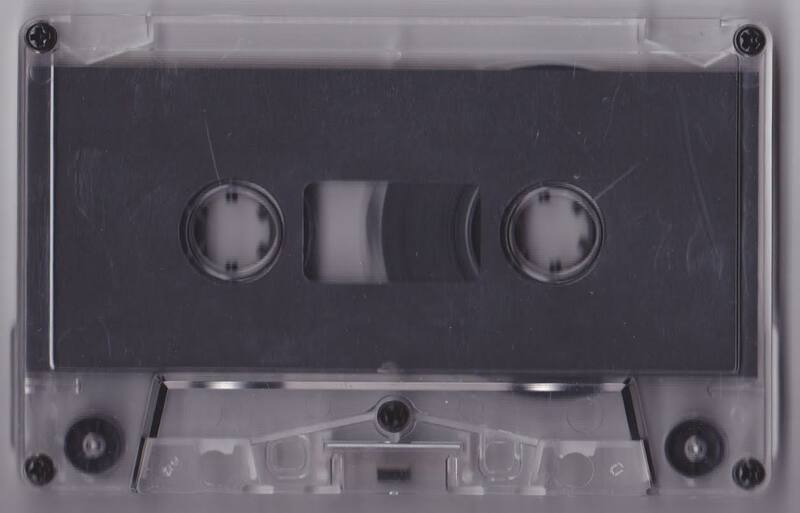 Black ink printed on white label onto clear shell with plain slip sheet: CrO2 C-60 cassette. Photos courtesy of Ruud Altenburg.